The communication ecosystem is central to a well-functioning society. 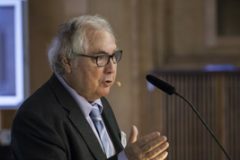 Its influence on shaping minds – and thus reality – has been emphasised by its enormous impact on recent events, underlining the fact that the control and ownership of the internet will be one of the most important battles of our time. 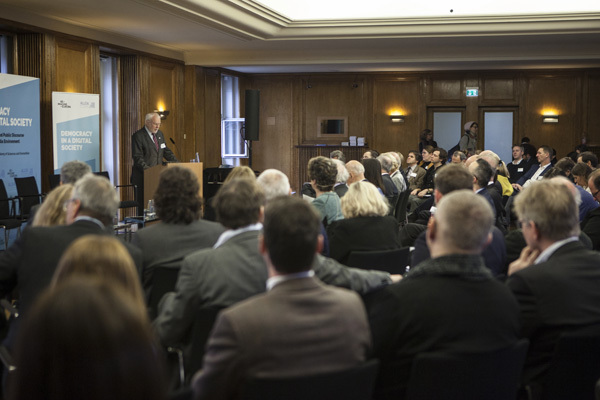 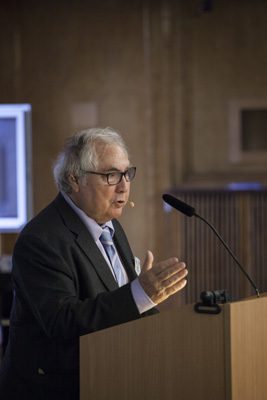 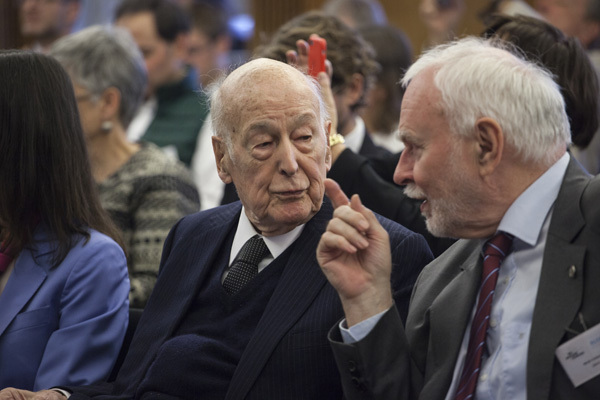 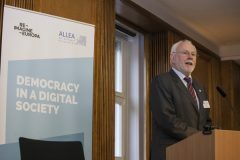 Looking for responses to these challenges, the international forum “Democracy in a Digital Society – Trust, Evidence and Public Discourse in a Changing Media Environment” was held at the Berlin-Brandenburg Academy of Sciences and Humanities in Berlin on 24 January 2019. 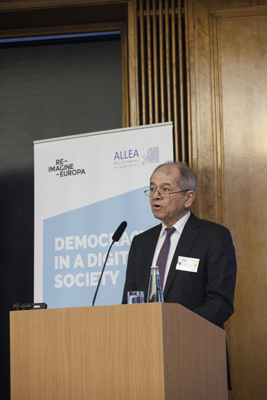 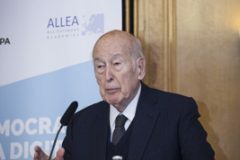 Organised by ALLEA and Re-Imagine Europa, the event addressed the most pressing questions on the impact of digital transformations on democratic institutions in Europe and beyond. 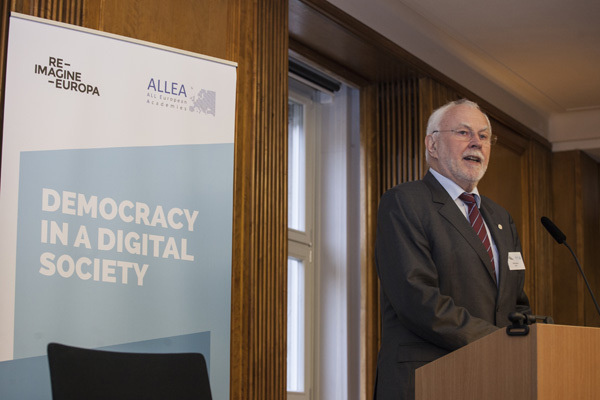 Leading experts from academia, politics, industry, civil society organisations and media worked together on proposals of what a European model for a digital society could look like and what values should guide this process. 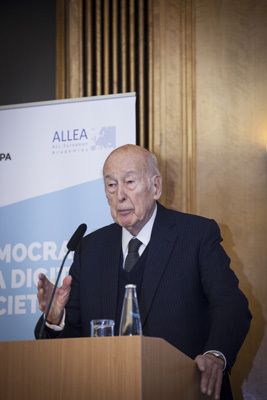 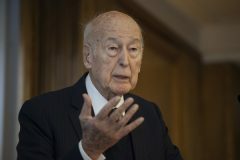 The European Commissioner for Digital Economy and Society Mariya Gabriel, president of Re-Imagine Europa and former President of France Valéry Giscard d’Estaing, ALLEA President Antonio Loprieno, sociologist Manuel Castells and former president of the British Academy Baroness O’Neill of Bengarve were among the speakers of the event. 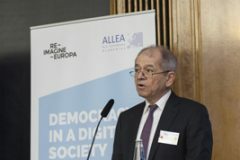 The discussions built on the work developed by the ALLEA Working Group Truth, Trust and Expertise and acted as the starting point for Re-Imagine Europa’s task force on “Democracy in a Digital Society”. Questions addressed included: How can we maintain a healthy media ecosystem in a digital world? 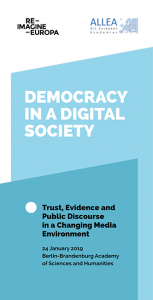 How do information and disinformation spread on social media? 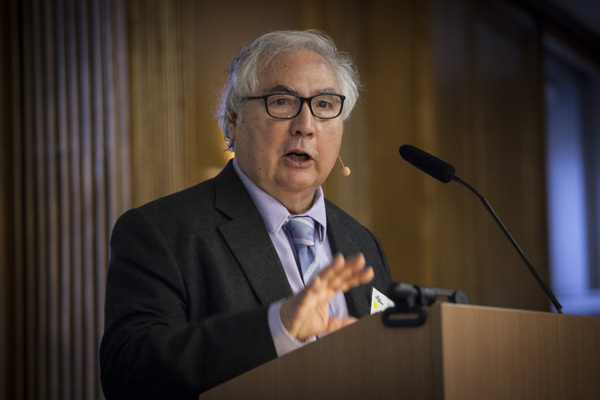 How can we deal with big data in an ethical way? 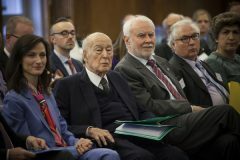 How are these tools used to sway public opinion? 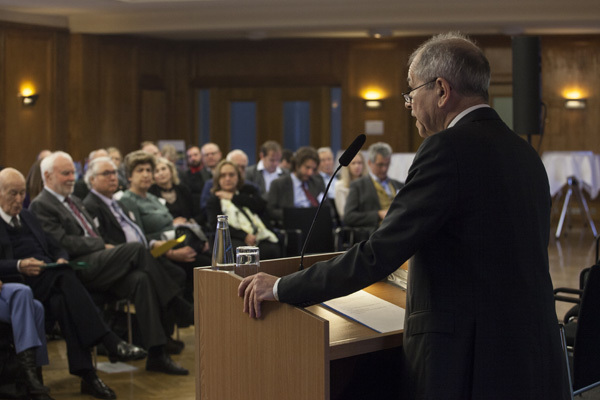 What is the role of narratives in creating shared worldviews? 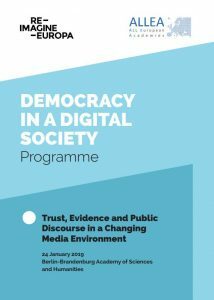 How is trust in scientific evidence, the media and long-established democratic institutions affected? What is the value of truth?